In 2009 we took on the tenancy of Lynchet's Farm, Great Chishill a Cambridgeshire County Council Holding. 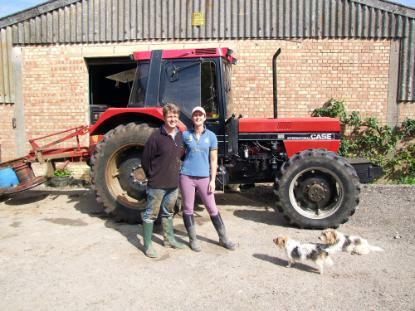 As first generation farmers it was a huge step but we settled in well and set up our herd of Lincoln Red Cattle and a Camping and Caravanning Certified Site. We were very happy there but sadly the Council decided to change their policy and move us to another farm. In October 2013 we moved to Gayton Farm, Horningsea. It is a small mixed farm of mainly cereal crops and a small amount of livestock. The farm crops Wheat, Spring Barley and Beans.